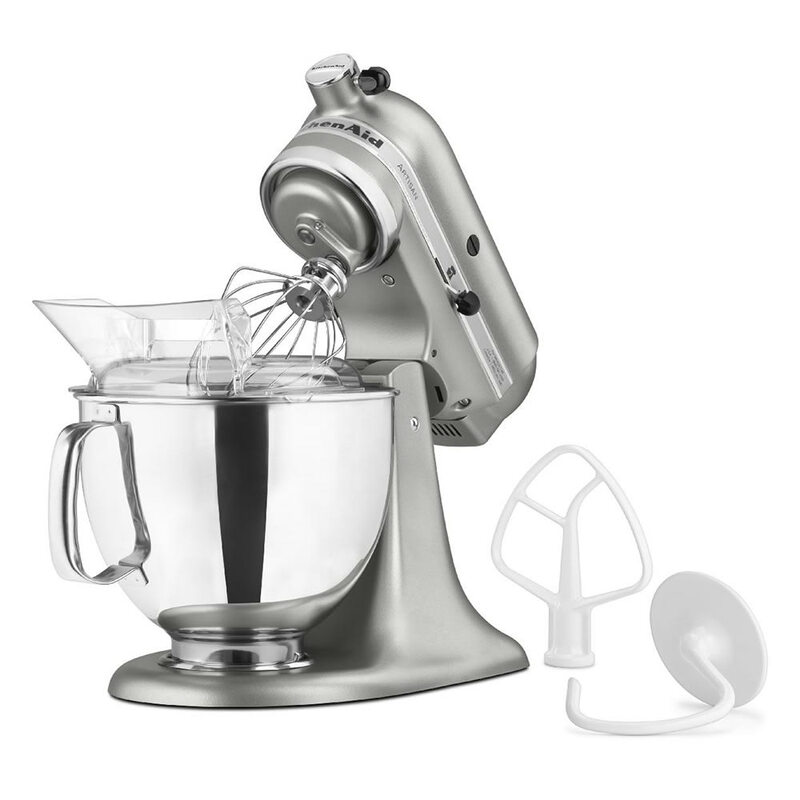 KitchenAid's Artisan Series KSM150PSCU stand mixer has 10 mixing speeds from a slow stir to a fast whip, so you can prepare everything from dense yeast doughs to light, fluffy meringues. The five quart stainless steel bowl is large enough to hold batter for up to nine dozen cookies and is made with a comfort-grip handle for ease of use. This KitchenAid mixer also includes a power hub to power the available attachments including a meat grinder, vegetable chopper, and several pasta tools, each of which is sold separately.